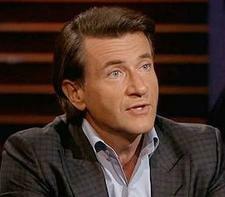 Robert Herjavec, one of the investors, or sharks, Friday night agreed to invest US$5 million in Zero Pollution Motors, the U.S. licensee for Luxembourg-based MDI, developer of the Air Car as a compression-based alternative to the internal combustion engine. In return Herjavec, a Croatian-born Canadian businessman, investor and auto racing enthusiast, will acquire 50 percent equity in Zero Pollution Motors. 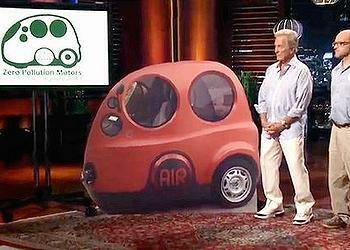 Pat Boone, the famous music star from the 1950s, joined Ethan Tucker of Brattleboro, Vermont, who owns the Zero Pollution Motors rights to manufacture and sell the AIRPod in Hawaii, to pitch the new eco-friendly compressed air car to the sharks. The AIRPod will be built in regional turnkey micro production factories throughout the United States. Unlike the huge traditional auto assembly plants, these plants will manufacture 80 percent of the vehicles and will sell them in the same location. This method will decrease costs and logistic problems and also has a significant beneficial impact on the environment, Tucker and Boone explained to the sharks. Hawaii is the anticipated location of the first production plant. Tucker told the sharks the islands are an ideal location for an AIRPod factory because it is a contained location, is overloaded with vehicles, suffers from air pollution and is dependent on weekly shipments of petrol. Herjavec agreed to put up the $5 million, but only if ZPM is able to get the rights to manufacture and sell the AIRPod in the entire United States. 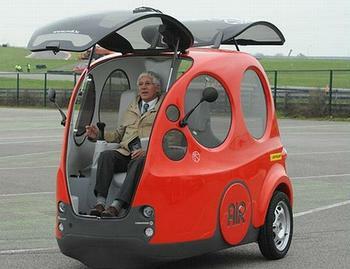 The AIRPod vehicle was developed by French inventor and environmentalist Guy Negre. The vehicle design is owned by MDI Sa based in Luxembourg. To power the vehicle, cold air compressed in tanks to 300 times atmospheric pressure is heated and fed into the cylinders of a piston engine. No combustion occurs, so there is no air pollution. Negre has said that the air emitted from the tailpipe is cleaner than the air that goes in, due to an internal filter. The AIRPod can be refilled from a compressed air station, similar to those that exist today at gas stations for the inflation of tires but with larger capacity and higher pressure. The AIRPod can be refilled with air at home using an electric compressor and Negre hopes that, one day, drivers will be able to recharge the cars in filling stations in three minutes for as little as three dollars. Zero Pollution Motors intends to produce the first compressed air car for sale in the United States by the second half of 2015.